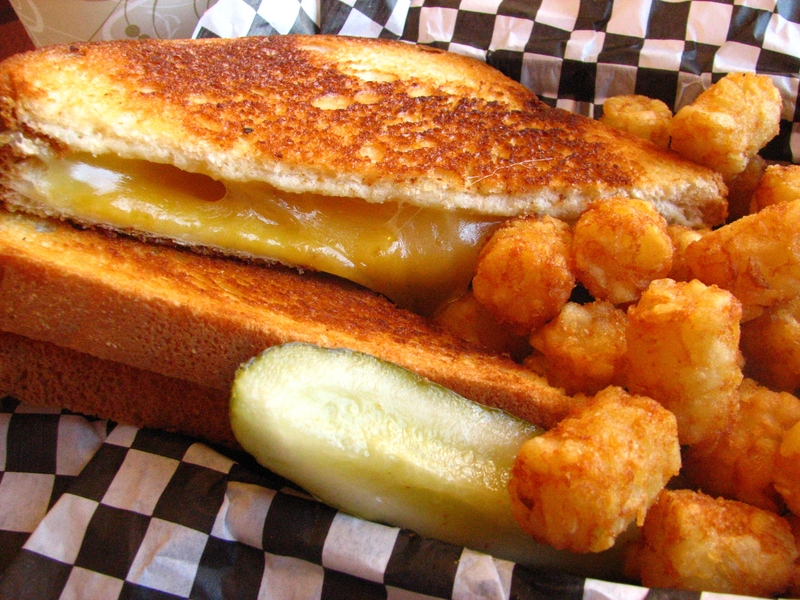 This one looks like my kind of grilled cheese. Straight and to the point. Cheese on bread, nothing else. Yum. Gimme some of your tots!! I forgot my goddamn cheese in a refridgerator in Portland. WWWWHHYYYYYY????????!!!!! !